Don't know if this helps. Craig at nosvalves did some modds way back with the large green caps and small yellow caps. Also the resistors on pins 8. I just changed out the sovtek 12ax7LF for the original Chinese 12ax7 and the sound is more detailed in the highs with a brighter clearer sound. Looks like the tech installed some nice Russian and Hovland caps in your AP-900. It's amazing how swapping tubes affect the sonics. The AP-900 is quite a nice unit indeed. Yes, I will play with it some more today. Yeah, Craig@nosvalves does nice work. Inventor/builder of the VRD's I think there called. Work was done in 2003 when I bought the amp. 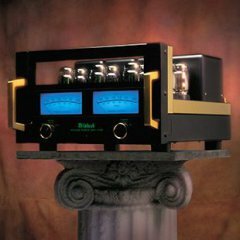 I'm looking for an inexpensive, low watt kt88 tube amp to play with(Douk). I have my heart set on this amp, just haven't pulled the trigger yet. What's your opinion? Curious to know what low watt(13w) and kt88 sound like. Did you let the amp warm up for an hour or so before setting the bias. It's my understanding the tubes stabilize after a bit and then setting the bias results on a more accurate setting. That’s a beauty. Which model is that? Nevermind, found it. It is $549 on Amazon and $509 direct from doukaudio. Sweet amp! Sorry, was working on my Maple tree pre amp. 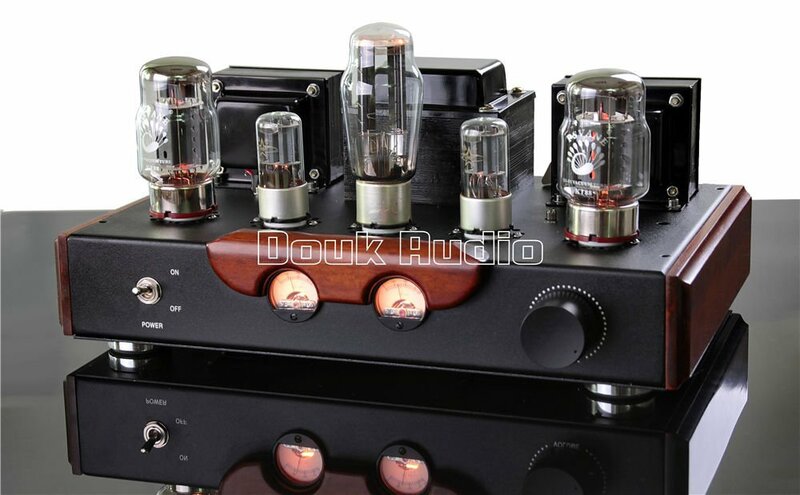 That little amp is $497 on ebay/free shipping from Douk. I may get this ordered before the price goes back up. Be careful. I was excited about this inexpensive amp and told @Hornographic about it, and he pointed me to an online forum warning about potential fakes. Not this model, but apparently someone ordered a tube amp from China, took it apart, and discovered that the output transformer was hollow. 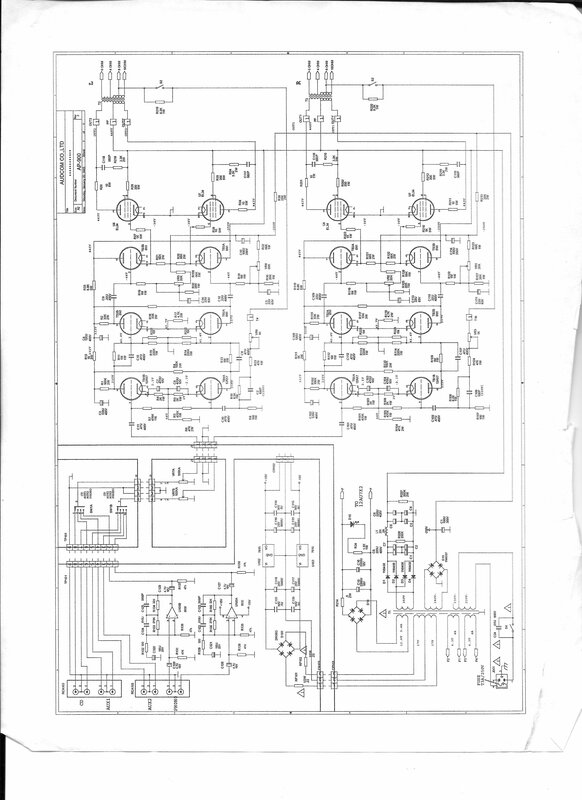 Inside was a small solid-state amp board and associated regulators. There was a filament supply to light the tubes up, but no high-voltage supply anywhere. The audio path was wired in some way to use the tubes as path components. The tubes did nothing, other than when you removed a tube, the audio stopped for that channel. I'm now curious to see if anyone has disassembled one of these enough to see the socket wiring, check for high voltage, etc. Mind you, it was not this model (I don't think so, anyway), but if this is true it isn't cool. The thing I'd check for is the presence of microphonics. Lightly flicking a tube with your finger may produce an audible result in the output if the tube is really doing something. I'm hoping that someone with a ton more experience will comment on this. Ok, the Gold Lion KT77 came around real nicely. Sounds very good and easy to listen to. I rolled the KT77 JJ's back in this weekend and listed for half a day. Awesome tube as well. Horns, strings and vocals just a bit more revealing. The GL smoother and easy to listen to all day and the JJ closer to real, but the bass was deeper and a little flabby I thought. They both have their merits and I like them both. Glad you like the sound of both! Cool! another mopar guy. 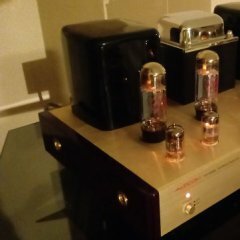 I don't know anything about tubes either, just playin and enjoyin. Good winter hobby. A quick note on this tube: These tubes seem to take a bit longer to break in than some other power tubes, so if they sound a little lightweight in the bass, you have to give them time. Some guys are reporting at least 100 hours before the fully come into their own. That's good to know. Bass could be a bit better in the mids, but very happy with these.